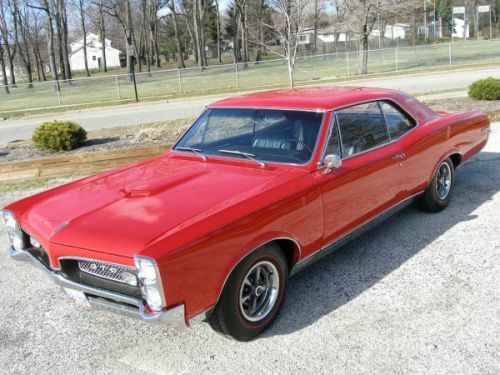 This was the year Pontiac was restricted from selling multiple carburetor cars. Therefore the powerful "Tri-Power" option was gone. Instead was an increase in displacement from 389cid to 400cid and was available in four performance levels. The car itself is virtually the same as the 1966 model. One noticeable difference is the addition of the 6.5L badge to the fenders. We are not affiliated with any automakers.